No stranger to controversy, the Real World: Skeletons vet has been making waves since the beginning on The Challenge. On the first night in the Bloodlines house, he not only cheated on his girlfriend back home but also got into a heated brawl with his brother Shane. 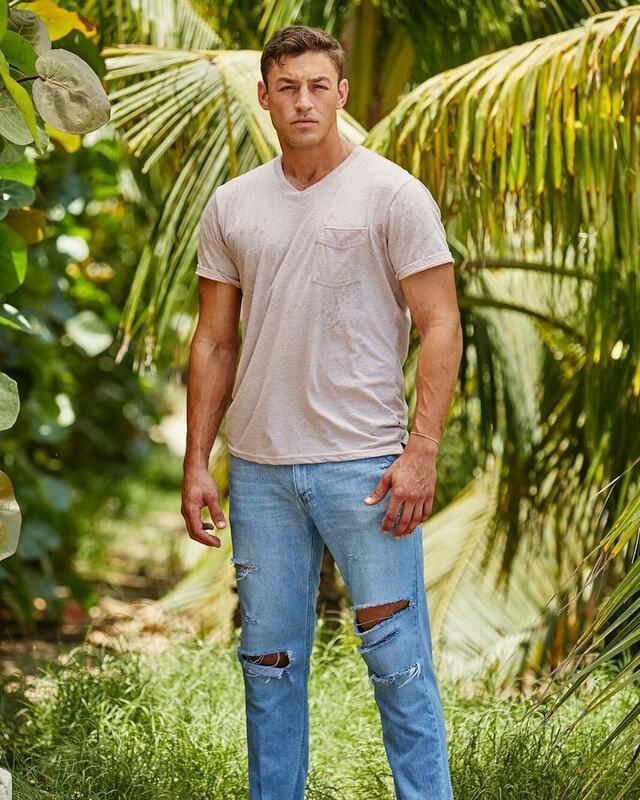 The pinnacle of Tony’s bad-boy behavior came on Rivals III during repeated battles with his partner Camila, ultimately leading to a one-way ticket home for both of them. Can Tony walk away peacefully from a confrontation (like he did during Invasion of the Champions), or will his temper come back to haunt him? Here's to him impregnating Camila and taking her off these challenges for good. Especially Real World Skeletons vet...the disrespect. Such trash, but he’s a babe. I'm the only one who don't see his attractiveness. He's the basic White boy to me. His brother is way more cuter. They called Derrick an Are You The One Season 5 vet so clearly they are just using vet to mean has appeared on x show. Maybe if you’re into twinks. i wonder if he is aware of the whole camila thing . . . being talked about . .
Tony has always said WOMEN are his biggest weakness . Women have a Love/Hate relationship with Tony as well. Tony is a dog which is a shame because he is a tall drink of water. He definitely is. Didn't Alyssa tweet something a few days ago about her baby daddy being a "sperm donor," and then play it off with an "LOL that was my friend" a few hours later? But not even half good looking enough to put up with his ******** unless you're an insecure woman with Daddy issues. Which unfortunately there are plenty of to go around for his *******. yup an they unfollowed each other maybe theyer back to beefing . . . . an i guess hes back to do public damage control however he can . . . its sad really . . . those girls will see it all one day . . . . how is it goin to be explained ? But not even half good looking enough to put up with his ******** unless you're an insecure woman with Daddy issues.Which unfortunately there are plenty of to go around for his *******. I'm going spoiler free this season but can someone message me what is being said about Tony and Camila? lionblues wrote:i wonder if he is aware of the whole camila thing . . . being talked about . . If they did unfollow each other, they're back to following each other now. Which is pretty weird... I don't buy for a second that Alyssa's "friend" tweeted the stuff about Tony being a sperm donor. But if he did cheat on her, we know it's gonna come out on TV; MTV won't sit on it. Just like it came out when he cheated on Madison. The puzzling part is he and Madison broke up before that season aired, so I assume he told her about it. So why would he have told Madison about cheating on her, but wouldn't tell Alyssa this time...? Seems weird. He's a little boy. That's what I think of Tony. He's a man-child.